Orders need placed in even quantities due to the packaging of two per box. Orders of 1, 3, 5, etc...will not be able to be processed. 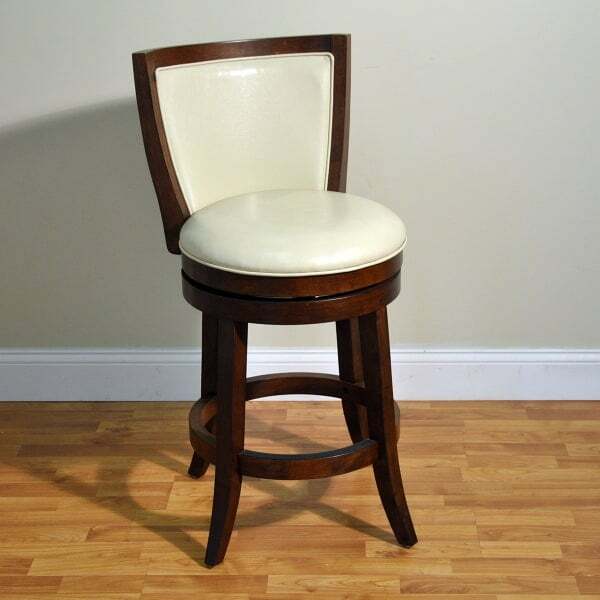 The Bristol Bar Stool stands at the classic bar height of 30’’ tall. 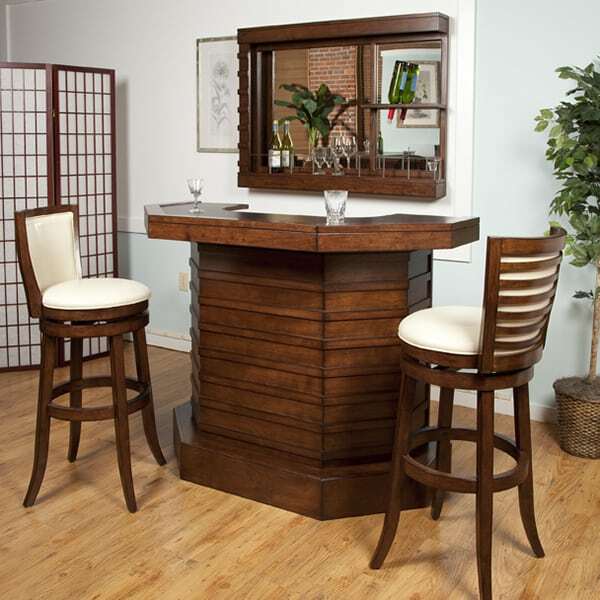 This means that by design, the Bristol can easily slide under any standard bar height top, whether it’s a bar height table, a home bar, or a bar height game table. The Bristol stool fits ideally in a setting of other hardwood furniture with a classic design. The Bristol delivers a regal appeal, with the contrasting contemporary walnut dark hardwood finish coupled with the light cream vinyl upholstery. Both the seat and the seatback are upholstered with the easy-to-clean light fabric. For comfort and usability, the stool is equipped with a high supportive seatback, a cushioned swivel seat, and a footrest that wraps around the base of the stool. 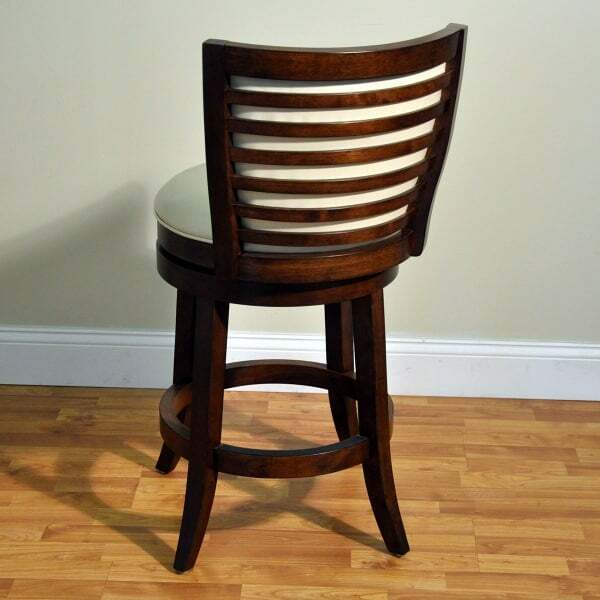 Does the bar stool by ECI fit into your interior design?